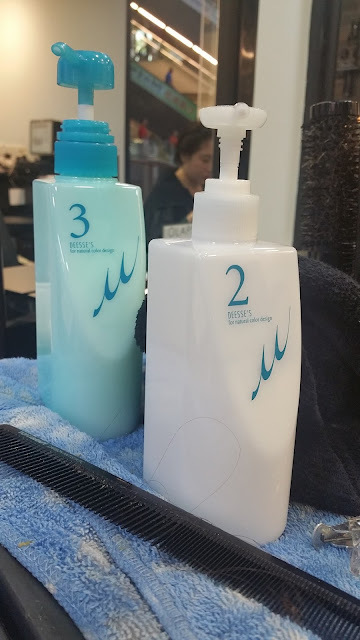 After getting my c-curls last month with Focus Hairdressing, I returned to visit Ken again to get rid of my yellow hair! Yes, unfortunately, even after chopping of more than half of my locks, I still have some leftover hair that's previously bleached. See that glorious tuff of shiny orange ends there? I swear the lighting has made them less hay-ish. And yes that's my geeky glasses sitting on the counter right there. HEH! And I'm glad to be able to try out their new organic and ammonia free hair colour, Hcolor, from OWay. 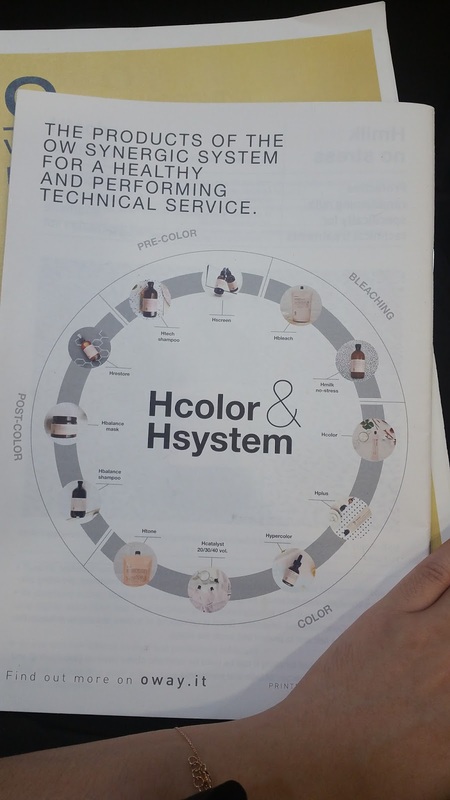 Compared to other ammonia-free hair colouring system in the market, Hcolor has more colour options available and also comes with a pleasant, sweet-floral fragrance and gives you a reduced likelihood of respiratory and skin irritation, even in the most sensitive of individuals. Hcolor respects the hair fibre and the hair's physiological pH, hence helping our hair to maintain its structure. 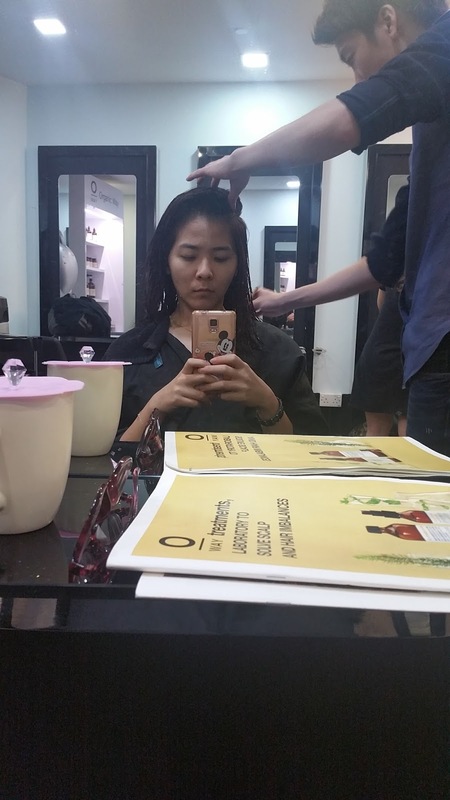 And after the going back to dark brown, it's time to give my scalp some attention with Oway scalp treatment. 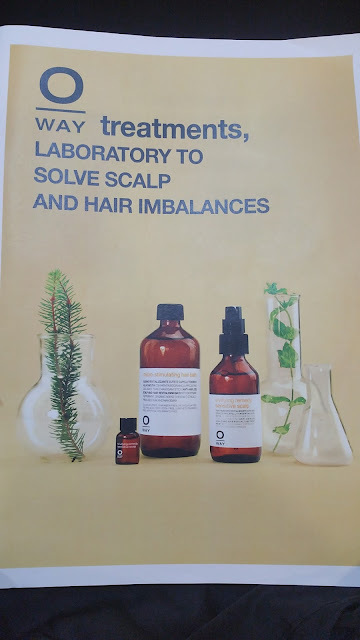 If I didn't read the catalogue wrong, I think Oway originally have another treatment system specially for hair-loss, but Focus do not offer that option as the previous 3 treatments all have anti-hair fall properties. And it just so happens that I've been experiencing abnormal hair-fall recently after switching to a brand new shampoo/conditioner, and so soothing treatment it shall be! 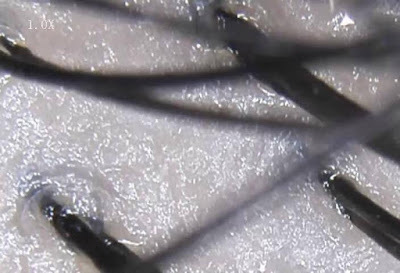 The treatment has a very strong herbal scent and gave my scalp an icy, tingling sensation. Obviously the before: look at all those sebum! After: All traces of sebum wiped out and my scalp felt thoroughly cleansed. And as I've mentioned earlier, I've been experiencing abnormal hair loss recently due to a change in shampoo/conditioner that doesn't suit me, and this treatment actually did work to reduce my hair fall! 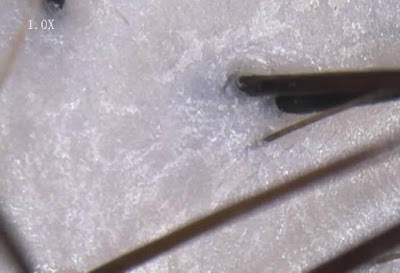 I've stopped seeing like, countless strands of hair sticking to my palms when I shampoo/condition my hair these days. Lastly, to end off the day, Ken gave me another colour treatment, Milbon Deesse's Aqua Smooth Veil Treatment. 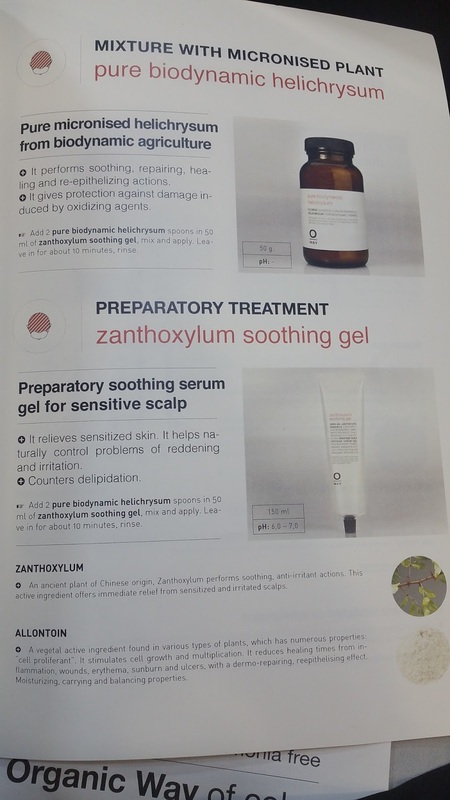 This Milbon Deesse's treatment is also a 3-step treatment and is quite similar to Mucota Scena (read my review of it HERE). The treatment creates 3 layers to treat and infuse the hair with moisture instantly, repairing and smoothen our hair from inside out. However, to be brutally honest, I would have much preferred sticking to Mucota Scena (is it psychological or what?) as I felt that my hair turned out much smoother with Scena as compared to Milbon. 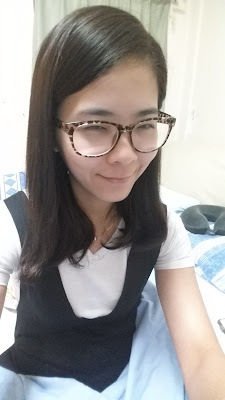 The silky effect of the treatment after my regular hair washes, somehow, also lasted longer with Scena, but it might be because my hair wasn't c-curled back then? Oway Hcolor is now priced at $100 - $150 (for my hair. it was $140) and you only need to top up $60 to get Oway scalp treatment (usual price $90). 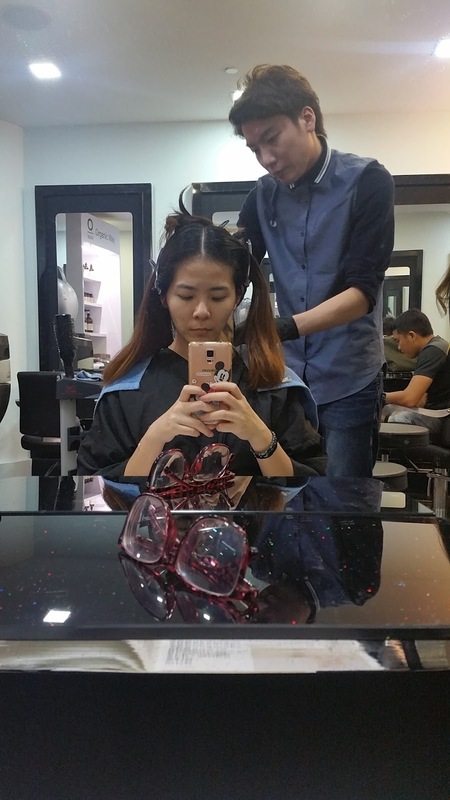 And for now, Focus Hairdressing Chinatown will be giving all you lovely readers a special discount of 15% off Oway Hair Colouring service. All you need to do is to flash my blog page (molly-mia.blogspot.sg) on your mobile phone to enjoy the special discount! Great hair style! Really suits you! With the new year coming up I'm definitely thinking of changing my look. New year, new hair??!! Hehehe. Love the hair style and color. I am not used to hair coloring as I would want my hair to look natural as much as possible. I would also want to see how my white hair grows as it shows the wisdom and years Ive gained. But looking at the mirror would only tell me that indeed, it isnt a pleasant sight. I need a hair color now, too. 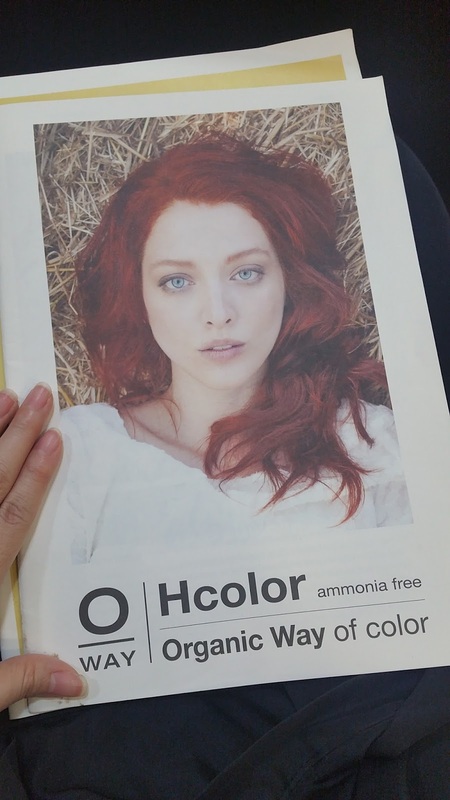 So there is an ammonia-free hair coloring? This is great! I'd love to give it a try. 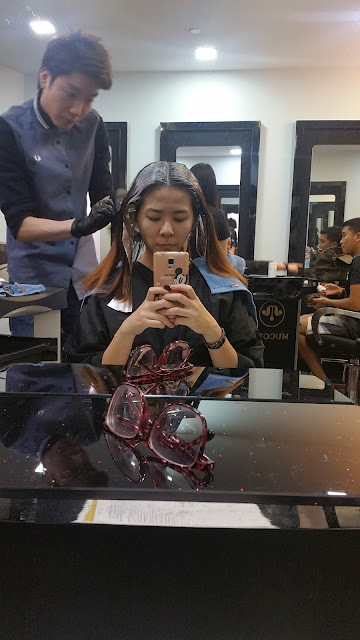 One of the things that I hate about getting my hair colored really is the smell of the dye and it lingers on the hair for hair, which I find to be really annoying. I'm kinda sad I cannot use your code because I am in the Philippines. I would have loved to give it a try. U look good with this hair colour! Come to think of it, have I ever seen u with dark hair?? erm, i think i did darken my hair but by the time you saw me they're all faded to yellow already. =.="